Preheat barbecue grill to medium-high heat. Parboil potato pieces in 4 cups of water for 3 to 4 minutes. While potatoes are boiling, slightly brown sausage pieces in a large skillet. Drain potatoes and sausage pieces and place in a plastic bag along with chopped onion and olive oil. Sprinkle with salt and pepper and rosemary. Toss well, coating potatoes and sausage pieces thoroughly. Empty contents of bag onto double foil layer; fold edges of foil together to seal packet. Place on grill, cover, and cook for 30 minutes or until vegetables are tender. TIP: This dinner can also be cooked in a 350°F oven for 30 minutes. 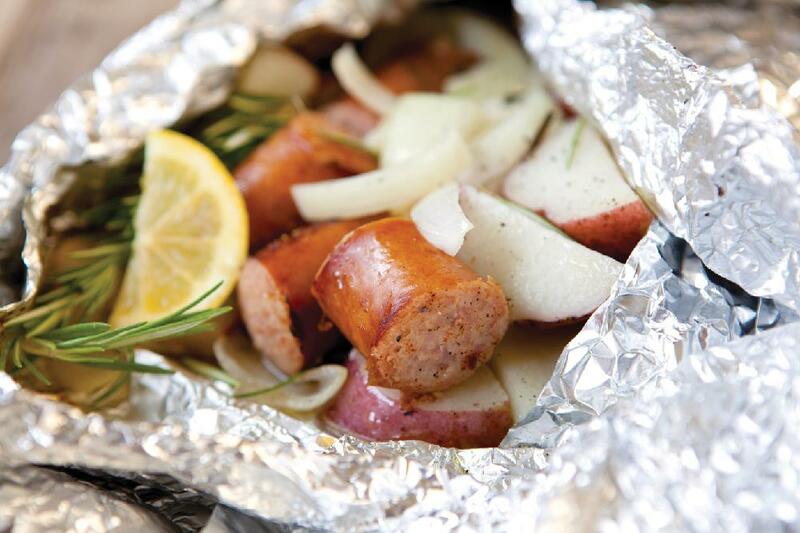 This Kielbasa Tinfoil Dinner recipe is from the The Ultimate Cook'n Cookbook Cookbook. 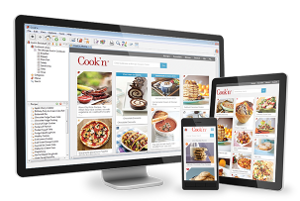 Download this Cookbook today.